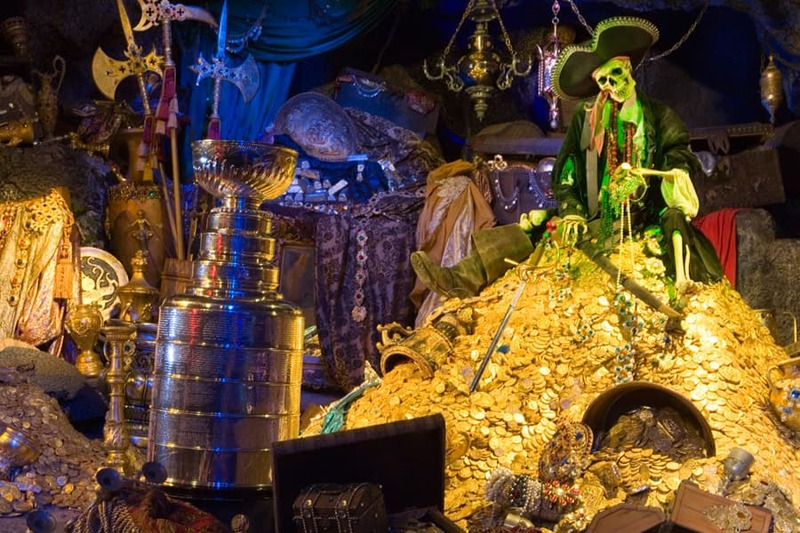 Arrr the treasure be grand fer the NHL championship team, and they be gettin’ to take the Stanley Cup where e’er they please. ‘Twas the case in June 2007 when the mighty Chris Kunitz of then-champion Mighty Ducks brought the silver beauty to the Happiest Place on Earth. This photo be rare, you see – and Lord Stanley’s Cup is perhaps the greatest booty e’er discovered by the Pirates of the Caribbean. Aye, Lord Stanley be it? Yer cup now be part of me plunder. Try and recover it at yer own peril. Properly warned ye be says I. That be a lot of rum. Arrr! That be a right shiny mug..but I can’t drink me rum out a that! It ain’t got no handles!!!!!!!!!!! Oh, and Bill would say: Now that be a fine cup to drink me rum from. Yo Ho! Yo Ho! The Stanley Cup for me! Arrr..that be a large shiny silver cup in thar treasure, but don’t let those landlubber Kings lay their hands on it…only those of the mightiest duck may kiss the prize…. We’ll be awaiting those Canucks. Surely they won’t be happy to find out it made it here first. Them landlubbers on ice needn’t bother tryin’ to rescue this prized cup. Once pirates get thar hands on booty such as this, they shaln’t n’er part with it. This here be the biggest spyglass I’ve seen! Arrr! Fill me Stanley Cup to the brim with that thar rum. Nothin’ shivers yer timbers like a sportin’ game of ice hockey. Hopefully this will hold enough rum for Cap’t Jack!